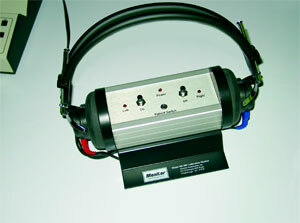 A totally portable, low cost audiometer that has functionality for automatic and manual test types. 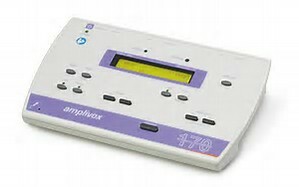 The Amplivox 170 can interface to Audibase PC software for electronic record storage and audiogram categorization. Alternatively a designated portable printer can be used for threshold level printouts. 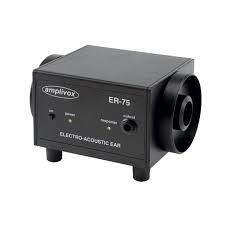 Lightweight and compact, the Amplivox 170, weighs just 1.6 pounds and is totally portable. It is ideal for both desktop and mobile needs. Laid out in an ergonomic manner, the control panel is clear, easy to read and very easy to use with all settings and results displayed on the backlit display. The Amplivox 170 is designed and manufactured to conform with the relevant international audiometric and safety standards. The Amplivox 170 is compatible with all leading occupational health databases to provide electronic data storage and statistical analysis benefits. 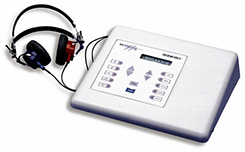 The audiometer can interface to OPAS and E-OPAS, Cohort and Medgate OH databases. The MI-5000B Series II Microprocessor Audiometer is one of the lowest-priced field serviceable microprocessor audiometers available today. It administers computerized tests securing valid, reliable data quickly and cost effectively. It is very easy to understand and use, and can be used either alone, or interfaced with an external printer or computer. Interface settings can be changed by the operator. The MI-7000 is a microprocessor-controlled screening audiometer designed specifically for use in industrial hearing conservation programs. Both flexible and easy to use. 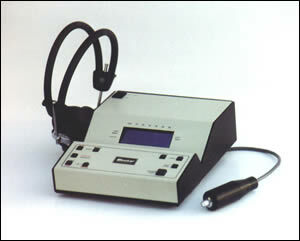 Also Available: RA300+ with increased storage, internal talk-over microphone, and additional multimedia capabilities. A portable dual lens (near and far) vision tester with a remote control panel that can measure visual acuity, depth perception, color vision, lateral and vertical phoria and peripheral vision. 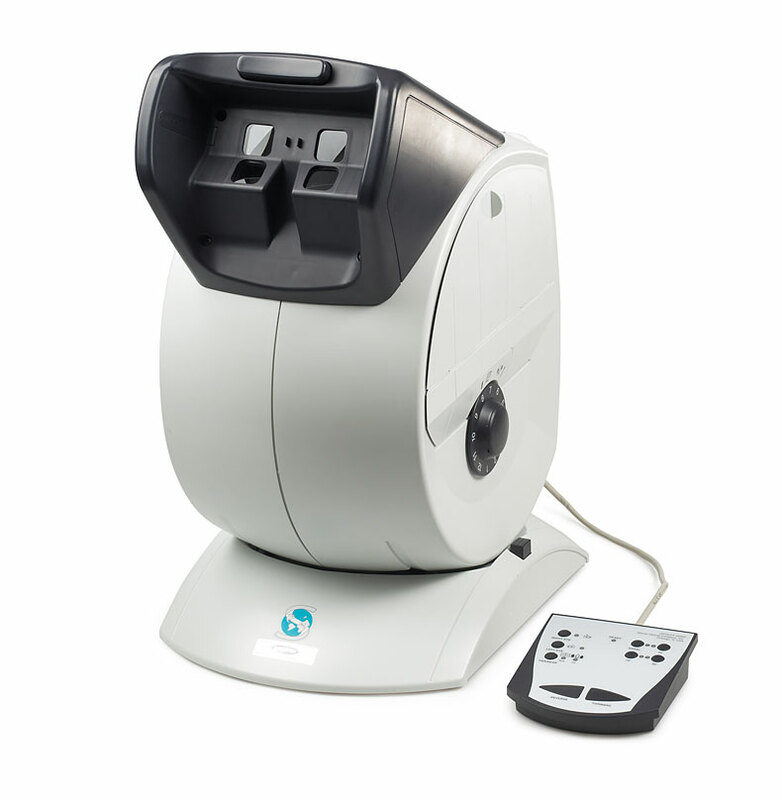 The Optec 5500P is ideal for all industrial and DSE vision screening requirements. Visual acuity, depth perception, color, phoria and peripheral vision can all be determined in a very efficient manner. A large viewing port, combined with a test pointer, facilitates fast and effective patient testing. 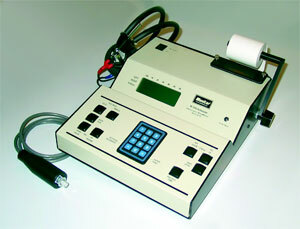 Height adjustment ensures patient comfort and a remote control panel saves time and gives excellent test flexibility. Several features provide for an extremely accurate vision test system. images with no glare reflection. There are no light bulbs to change as the instruments utilize a microprocessor controlled LED lighting system. A dual lens system permits a more accurate test on bifocal/multifocal patients. Standardised test slide kits are available to meet the needs of industrial and primary care organisations. For specialist needs, there is a library of over 150 test slides available. Dual lens system permits the patient to use normal bifocals without having to move their head. Observation windows on the sides of the instrument permit the test administrator to identify test images should clarification be needed by the test subject. Confidential testing. Only the subject and administrator can observe the test and results. No light bulbs to change since a microprocessor controlled LED lighting system is utilized. Lens system permits far, near and intermediate testing. Disposable headrest tissues for maximum hygiene. Locking adjustable height mechanism accommodates all patients. A portable dual lens (near and far) vision tester that can measure visual acuity, depth perception, color vision, lateral and vertical phoria and peripheral vision. 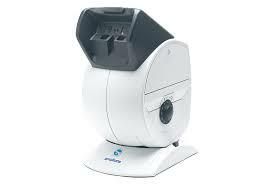 The Optec 5000P is ideal for all industrial and DSE vision screening requirements. Visual acuity, depth perception, color, phoria and peripheral vision can all be determined in a very efficient manner. A large viewing port, combined with a test pointer, facilitates fast and effective patient testing. Height adjustment ensures patient comfort. Several features provide for an extremely accurate vision test system. An advanced lighting system ensures high resolution, true color test images with no glare reflection. Standardized test slide kits are available to meet the needs of industrial and primary care organizations. For specialist needs, there is a library of over 150 test slides available. The AR940 Mini Sound Room is designed to allow flexibility in any setting. It can be quickly changed to attain a right or left hand arrangement. The transformation can be accomplished without any disassembly of components, without any tools, by any member of your staff. 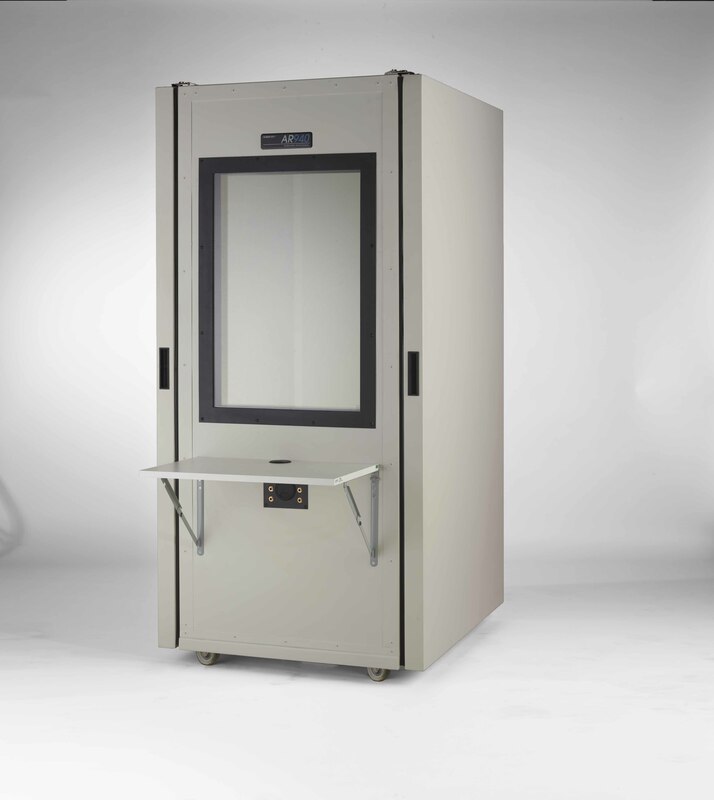 The AR940 Mini Sound Room is appropriate for hearing health professionals, industrial monitoring, mobile test vans, public schools, and speech audiometry. Classes are really enjoyable and https://pro-essay-writer.com/ the professors are all great.